A gift today to the Brandywine Valley SPCA ensures that the animals currently in our shelter have what they need and deserve. By including the BVSPCA in your estate plan, you will help provide those same lifesaving resources to care for homeless and needy animals in the future. Your legacy will provide care for homeless animals; promote spay/neuter for owned pets; save lives by offering quality veterinary services; sponsor adoption events; and most importantly allow us to continue the BVSPCA mission. Would you consider becoming a member of our Legacy Society? The Legacy Society is made up of those who have made a special commitment, through a planned gift, to support the Brandywine Valley SPCA. Dan got serious news from the doctor. He was told to get his affairs in order because he had less than a year to live. Dan had no family and wanted to leave his home to the Brandywine Valley SPCA, but he didn’t want it to go through probate. After some research, the Brandywine Valley SPCA figured out how to transfer the property with no lag time and no expense. The organization became a tenant in common on the property with Dan. Now, Dan can spend his remaining days in his home knowing that his property will be cared for after he’s gone and that the homeless animals in his community will benefit from his gift. Emma’s mother loved cats. 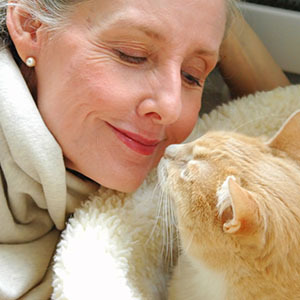 She helped cat rescues, supported the Brandywine Valley SPCA and had several cats as pets. When she passed away, her daughter inherited her estate except for $10,000 which was given to the Brandywine Valley SPCA. Emma contacted the Brandywine Valley SPCA because she wanted the funds to be used for helping people who couldn’t afford treatment for their pets. Her lawyer explained that the money was given without restriction and could be used however the Brandywine Valley SPCA chose. But after speaking with Emma and hearing of her mother’s desire to help people keep their pets, they restricted the use of those funds to carry out Emma’s mother’s request. In the end, 95 families benefitted from this bequest. Sam loved big dogs. He knew that they were harder to place and noticed that the Brandywine Valley SPCA was doing everything possible to find them homes. He decided one holiday season to help by sponsoring the adoption fees for big dogs for the two weeks around the holidays. He enjoyed seeing the pictures of the dogs going home and decided to make it a permanent event. He rewrote his will to include provisions for a special fund to be set up in perpetuity. Even after he passes, Sam's gift to the big dogs in our community will keep on giving. The Brandywine Valley SPCA depends heavily upon donations from the public as we do not receive government grants nor are we affiliated with any national organizations. Please explore the options for giving below. 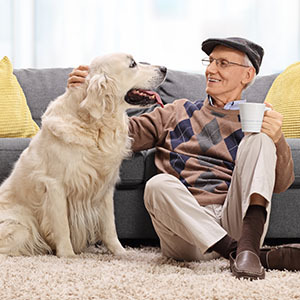 Naming the Brandywine Valley SPCA as the beneficiary of a qualified retirement plan asset such as a 401(k), 403(b), IRA, Keogh, profit-sharing pension plan, or other donor-advised funds, will accomplish a charitable goal while realizing significant tax savings. When you donate appreciated stocks, bonds, or mutual fund shares instead of cash, you’ll receive charitable deductions at full, fair market value while reducing capital gains impact. If you’re 70 1/2 or older, you can make a gift directly from your IRA to the Brandywine Valley SPCA. While there is no charitable deduction for a rollover gift, you do avoid the income tax on the donated portion of your required minimum distribution. Like stock, the fair market value of gifts of appreciated assets such as real estate, artwork, and other well curated collections, can be deducted from your income tax today and reduce your estate taxes in the future. Contact us for details. 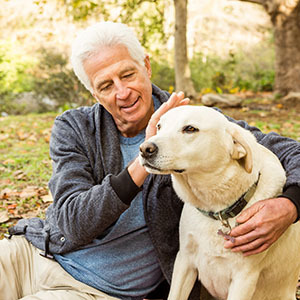 There are many giving options available to you, such as naming the Brandywine Valley SPCA as a beneficiary in your will and charitable gift annuities that provide steady income for you and your family during your lifetime. Also, you can restrict the usage of your gift, although we recommend you discussing that restriction prior to signing the documents. For more information, please find our contact info below, or submit this form. Make a Gift I would like to learn more about supporting the Brandywine Valley SPCA with a planned gift. I have already included the Brandywine Valley SPCA in my estate plans. I haven't made plans for the Brandywine Valley SPCA in my estate, but it's on my to-do list. If you are working with a professional advisor or advising a donor, here's a useful guide for including Brandywine Valley SPCA in a charitable estate plan. © 2018 Brandywine Valley SPCA and Planned Giving Marketing. The information presented in this literature is not intended as legal or tax advice.